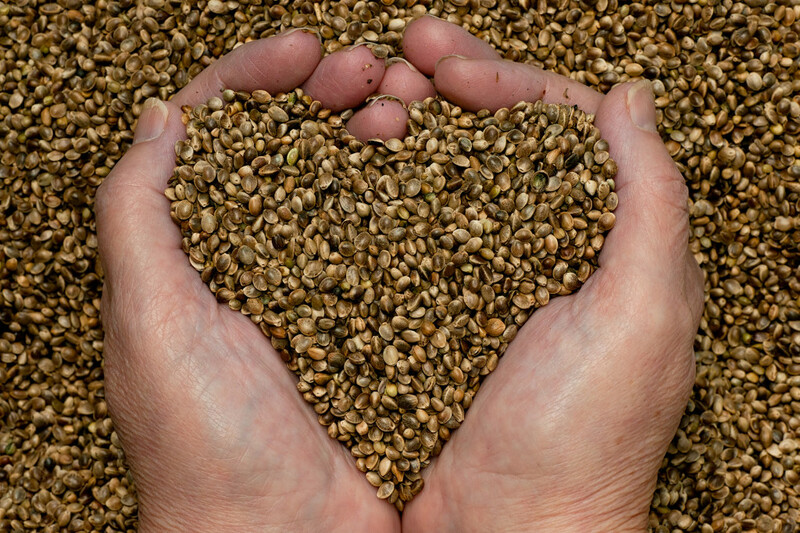 Hemp seed provides omega-3 and omega-6 essential fatty acids. While there is a man in Bolivia said to be the oldest living person in the world, at 123 years of age, a village in China is boasting ages far older than the global average, and few suffer from any health problems. Scientists believe the secret is in their diet, which actually includes lots of hempseed. It also helps that the water and air in Bama Yao, China are exceptionally clean, and that their food contains noticeably less fat, animal proteins, salt, and sugar than let’s say, the standard American diet. But according to some experts, the villagers’ consumption of a superfood high in essential fatty acids (omega 3 and 6) is also part of the reason they live so long. Their primary source of receiving these fatty acids is through a diet rich in hempseed. Life expectancy in Bama Yao is well over 100 years for its inhabitants, one of only five places on the planet where people can expect to live so healthfully for so long. Centenarian hot spots, called ‘blue zones,’ include Sardinia, Italy, Okinawa just off Japan, and Nicoya Peninsula in Costa Rica. Among these rare places, there is a commonality of lifestyle habits: they eat a plant-based diet, often with several super foods, invest heavily in family, get moderate exercise daily, and have a sense of faith and purpose in their lives. Hemp seed on the plant. It does not get you high. It is well known that plant sterols and antioxidants can help reduce the risk of many cancers including breast and colon cancer, as well as control sugar levels in diabetics. Omega 3 and 6 fatty acids found in hemp seed are also full of plant-based protein, vitamins A, E, and D, and many B vitamins – all important antioxidants that help eliminate free radicals in the body. Hemp seed is also rich in calcium, dietary fiber, and iron. The high amount of soluble fiber in hemp seed helps to prevent over-eating since it makes you feel full, longer, and it can help keep the digestive system healthy. Furthermore, omega 3 and 6 ratios that are in balance also contribute to a healthy brain as we age. Omega 6 polyunsaturated fats are used by the body to make certain hormones and signaling molecules. Roughly speaking, the omega 6′s are the precursors for many of the molecules that make up our body’s inflammatory response. As an example – the omega 6 linoleic acid is a precursor for many molecules, among them the prostaglandins that the enzymes COX-1 and COX-2 work on. But these must be balanced with Omega 3s or we have some highly inflammatory chemicals running rampant in our body. In hemp seed oil, the ratio of omega-6 to omega-3 is about 3:1. This favorable ratio helps to compensate, at least partially, for the general over-consumption of omega-6 fatty acids in the typical American diet, and likely leads to the overall anti-inflammatory health benefits that villagers in Bama Yao enjoy.